1. 2bed/2bath sunny apartment in Hacienda del Sol.24h security,sauna,gim. 2. 2bed modern apto. 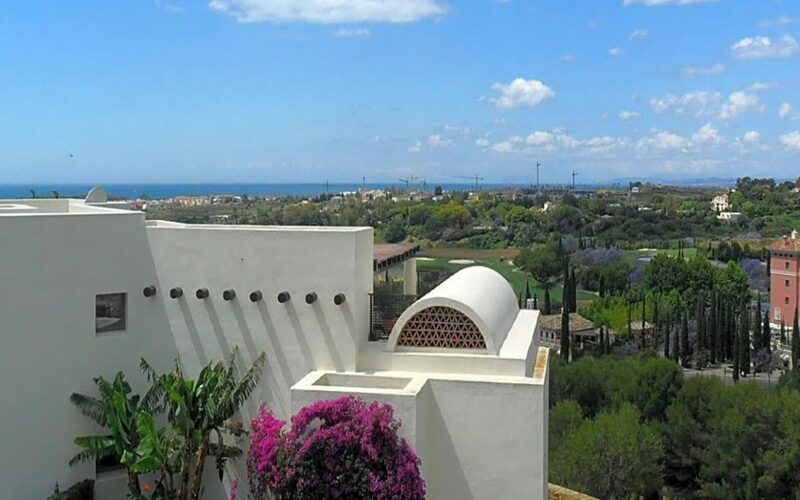 in Samara Resort(Los Monteros Altos) with amazing panoramic views,garage,storage. Spa,indoor pool,sauna,gym in the complex. 24h security. 3. 3bed penthouse-duplex in Jardines de Don Carlos (Elviria),new furniture. 4. 3bed elevated groundfloor apto. in Las Canas Beach. Andalusian style. No storage (with storage different price) Parking. 24h security. 6. 3bed townhouse in Golden Mile. Gym,sauna in urbanization,direct access from the garage to the house. 8. huge 4bed/4bath unfurnitured duplex penthouse with panoramic sea& mountains views in Monte Paraiso Golf. Underfloor heating in all penthouse. Two parking spaces, huge storage, 24h security. 10. 4bed renovated house in Benahavis. Special modern style , unique in Marbella. Private pool. 11. Los Flamingos 4bed high quality villa ( 3bed in suite + 1apto. in basement,very nice and cosy) +elegant office + cinema. High quality furniture, fully equiped german quality kitchen, underfloor heating in all house,garage for 3 cars, heated pool , solar battery. 12. 4bed ultra modern townhouse ” smart system” house in Sierra Blanca in Meisho Hills. Sea views, private pool,elevator,parking for 3 cars. 13. 7bed super luxury huge villa in Los Flamingos. Panoramic sea&mountains views. Underfloor heating, elevator.